The retail landscape may look a lot different today than it did a generation ago, but at least one thing remains true: Sales and discounts still matter a lot. According to research conducted by Forrester for Retail Me Not, deals on purchases have a primary influence on where shoppers spend (77 percent of consumers polled) and help speed up the decision-making process (48 percent) -- trumping customer service and product selection by leaps and bounds. Where specifically are discounts the most effective? The report shows that two-thirds of consumers expect to have a discount in hand before they even shop with an online retailer -- specifically on mobile. While customers in the past might fill up a shopping cart with items then go seek out bargains, the broad swath of mobile shopping options have given consumers the impetus to seek out the items they want -- at the prices they want -- rather than bargain with a trusted brand. On top of that, 55 percent of those polled claimed to have abandoned an online shopping cart because the cost at checkout exceeded expectations, while 32 percent say they’ll have no qualms bouncing to a different retailer after filling up their cart because of a competing offer -- like a push notification offering a tailored discount. It’s not simply about prices. As the retail paradigm has shifted to empower customers to be more picky and follow the bargains, brands and apps that can centralize enticing offers are gaining steam. Of those surveyed by Forrester, 71 percent prefer having a single destination for all of their discounts and coupons. This can be a boon or a burden for retail brands: Savings apps and websites that pool the best offers from across the retail landscape can highlight retailers that offer unexpectedly good deals while showcasing just how much other sellers take brand recognition for granted. Today, 38 percent of shoppers use these kinds of savings applications, which is a jump of roughly 28 percentage points from 2014. At the crux of this is an understanding that consumers may be willing to exchange some personal information with a savings app if it means more personalized bargains -- and more meaningful experiences for app users. Retailers need to be wise to balance just how much information they need with a customers comfort level in sharing it. At the same time, brands need to be sure they’re delivering personalized messaging in the form of push notifications, in-app messaging and “soft asks” so that they aren’t inadvertently “spamming” customers with leading questions. To avoid alienating potential customers, teams need to be tactical. Building brand loyalty is a primary aim for retail marketers, but successful strategies can be elusive. This is especially true in the new “omnichannel” world that brands have to navigate just to get customers’ attention in the first place. As a result, brands need to be tactical and often a little crafty in determining a “multi-channel” marketing strategy. 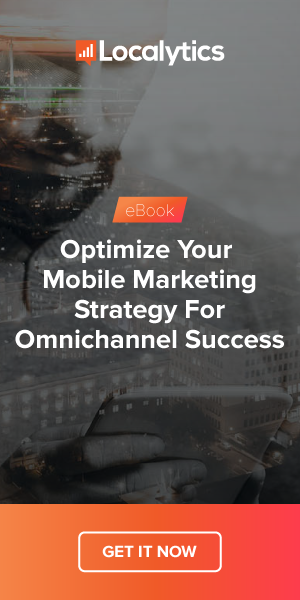 For retailers, that includes making sure discounts are landing at appropriate stages of the buyer journey -- which oftentimes lands on enriching mobile. By following soft-ask best practices, for instance, retailers can get permissions they need from customers without framing their app as as a soulless broadcast channel. This includes balancing the requests for data between high-level questions, ie. personal fashion tastes, with more tangible, private asks, like a shopper’s budget or income. At the end of the day, it all comes down to building trust and creating retail apps that offer a useful service -- a trusted shopping tool -- that they’ll turn to first. It also means getting that trust before the competition, as consumers will grow weary of sharing information with an array of retail apps, especially if they’ve been scorned in the past. What kind of tactics do you recommend retailers employ to deliver the best app user experience and build customer loyalty? Leave your thoughts below!